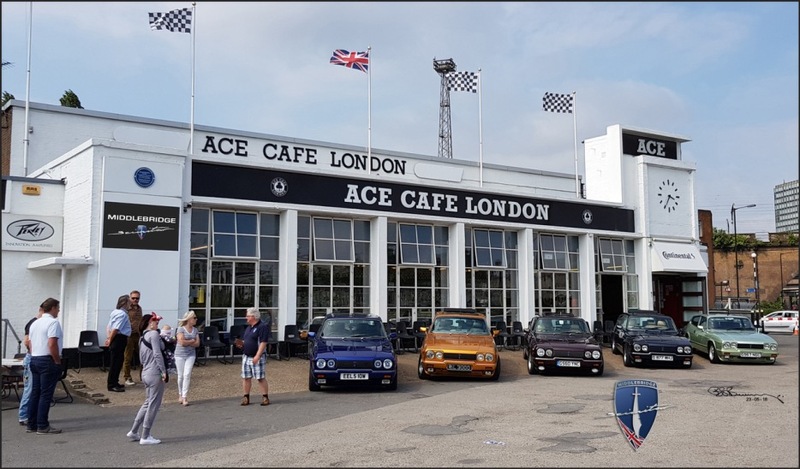 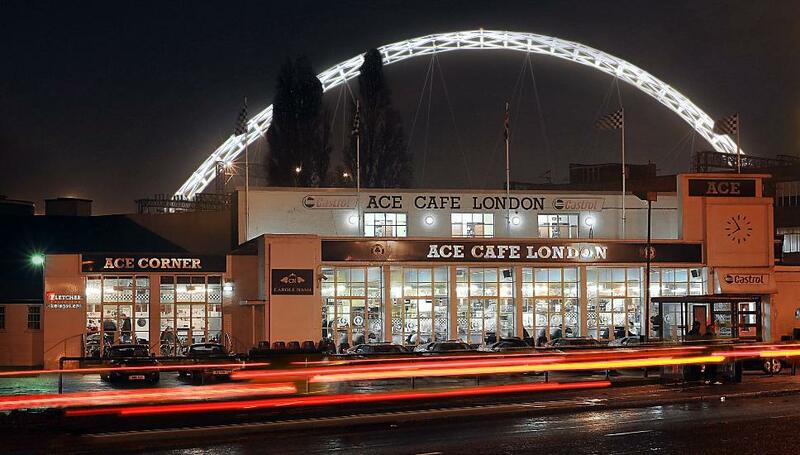 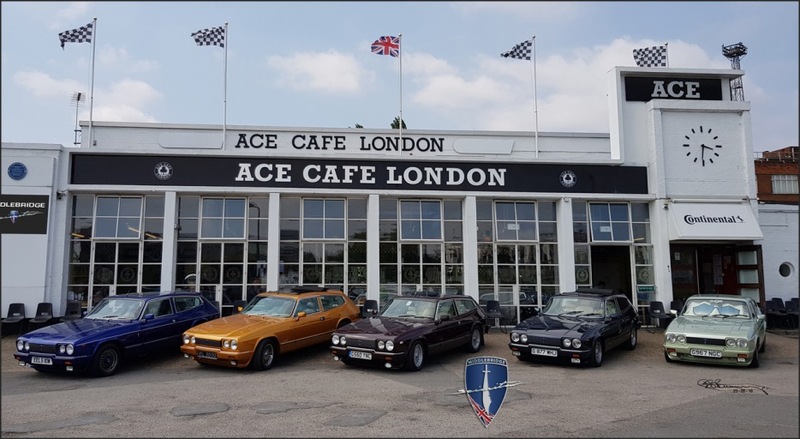 The MESS 'Middlebridge Enthusiasts Scimitar Set' met up, this time at the iconic Ace Cafe venue on the North Circular Road, London where owners and enthusiasts had a great time with owners coming & going during the day. 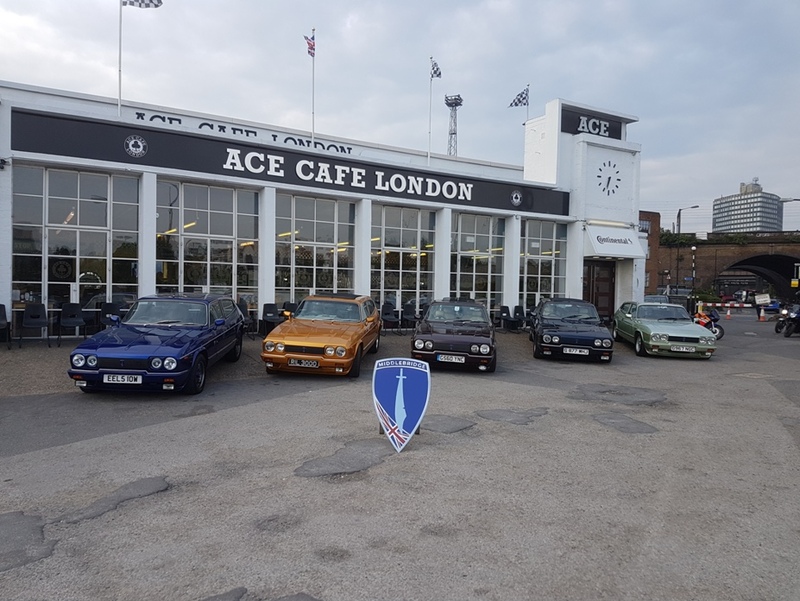 it was a very relaxed affair with many people showing a lot of interest in the marque and indeed many finding out that another truly British marque even existed. 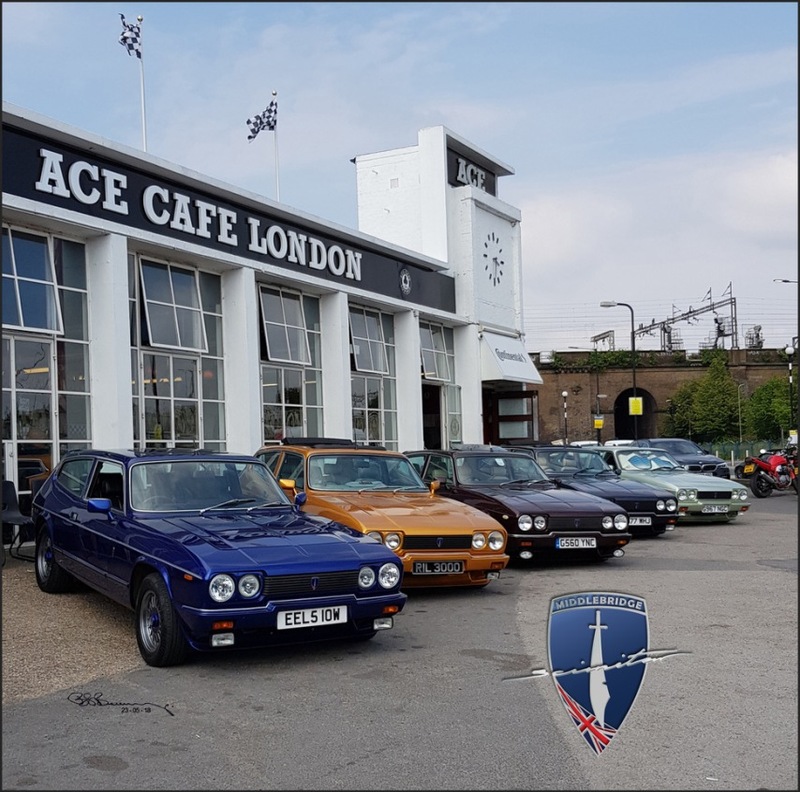 As with all MESS events all of the cars are driven to and from and our furthest travelled on this occasion was Bruce from Derbyshire.